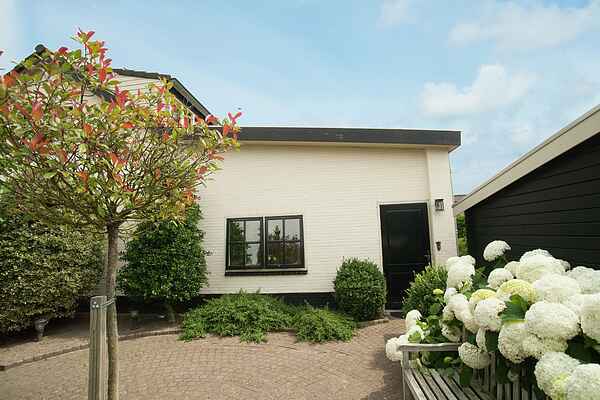 Within the lively holiday triangle Egmond aan Zee, Bergen aan Zee and Alkmaar you will find a gem of tranquility: Egmond Binnen. Your holiday home in this delightful village is equipped with all the comforts. There is a bedroom with a double bed. The bedroom has a spacious loft, and in the mezzanine there's a second double bed. The large garden is also a place to enjoy. You can enjoy that one good book that was still on your list, the children will enjoy the trampoline and the swing. The friendly owner, whose house is connected to your home, won't bother you. Your privacy is guaranteed! As we already said: your holiday region has much to offer! The surrounding area is wonderful for walking and cycling. The beaches of Egmond aan Zee and Bergen aan Zee are among the finest in Europe. You can reach them through the beautiful North Holland Dune Reserve. Here you can see with your own eyes how the Dutch dune area has formed over the centuries due to natural and human influences. You will find extraordinary flora here: crowberry, creeping willow and bunt grass. Alkmaar, Europe's cheese city, offers entertaining culture for the whole family with its cheese market and cheese museum.